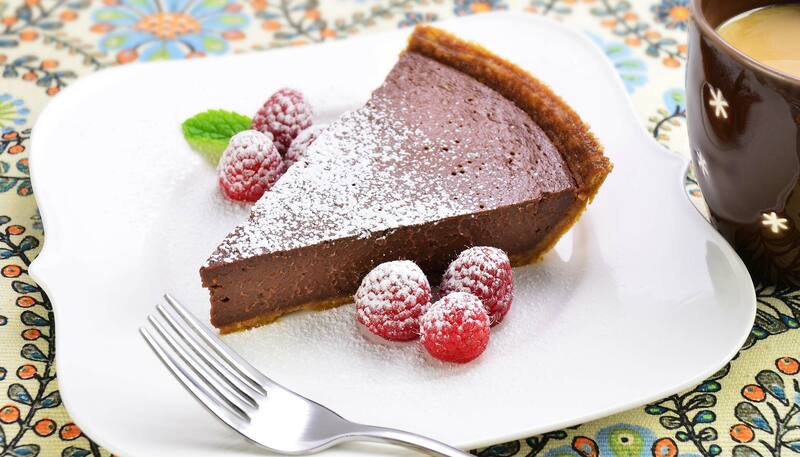 Here's a non-dairy dessert with a smooth raspberry chocolate filling. Satisfy your sweet tooth craving without feeling guilty, you won’t even taste the tofu. In a medium microwavable bowl, put chocolate chips and soy creamer and microwave at high for 40 seconds. Stir, then continue microwaving at high, stirring every 5 seconds as necessary, until chocolate is completely melted. 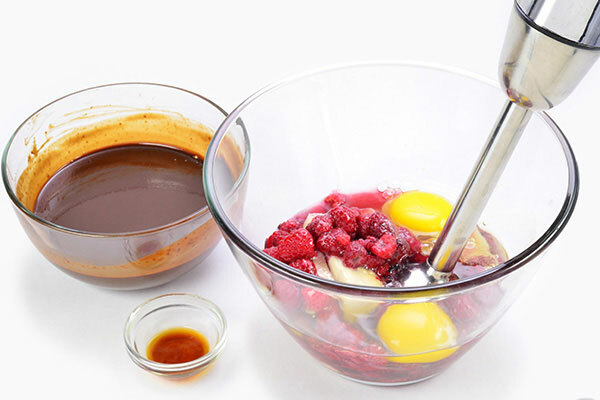 In a large bowl, add tofu, raspberries, maple syrup, sugar and eggs and blend with a hand blender until smooth. If you use a table-top blender, pulse 3 times to roughly blend the ingredients. 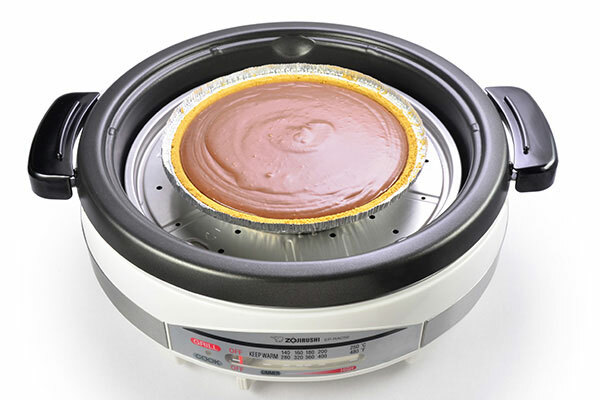 Pulsing allows ingredients to blend without creating too many air bubbles. 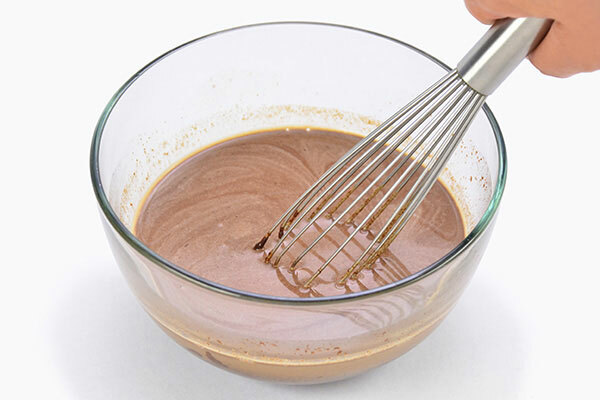 Add melted chocolate, vanilla extract and blend or pulse again just until ingredients are mixed. 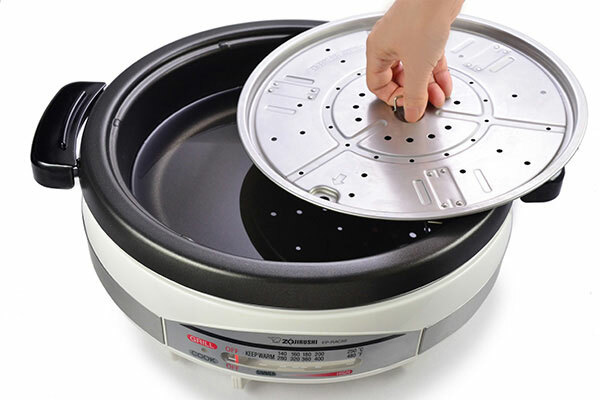 Add 6-1/4 cups of water to the deep pan of your Gourmet d'Expert® Electric Skillet (EP-RAC50), and place the steaming plate inside with its legs at the HIGH position. 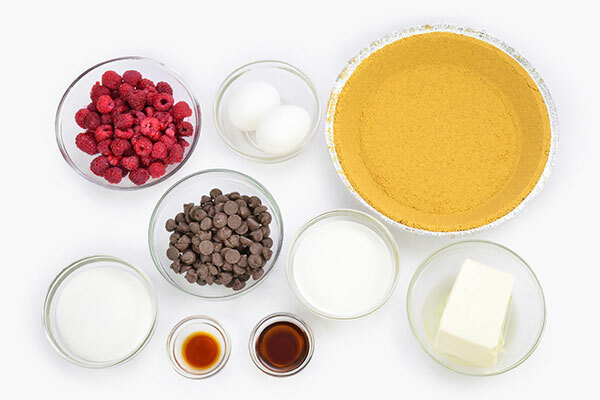 Place the prepared pie crust in the center of the skillet. Pour the mixture into the crust. 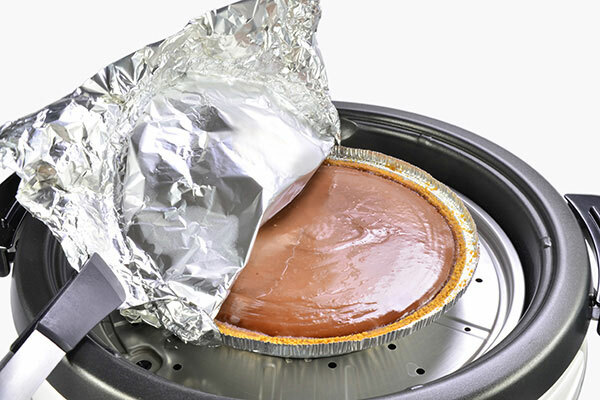 Cover the pie dish with aluminum foil (make a dome shape using the plastic cover that came with the pie crust to prevent foil from touching the filling). Cover skillet with lid and turn the control lever to HIGH. 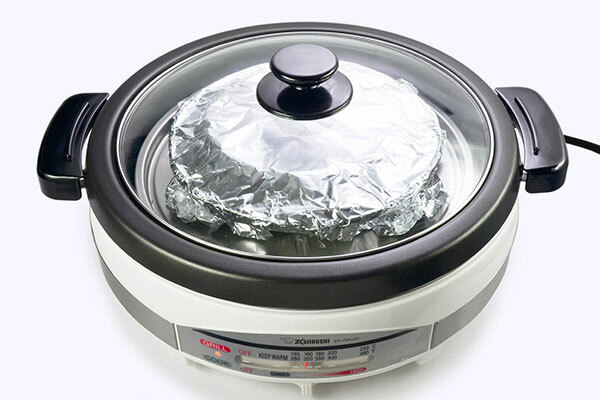 Once it reaches a boil (or when steam begins to rise from the gap between the pan and the lid), reduce heat to 320ºF, and steam for 30 minutes. 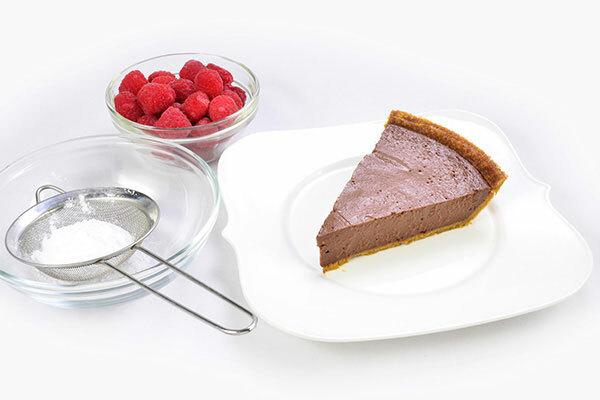 Check doneness by slightly tapping the side of the pie with a wooden spoon. The filling is done when the center (area of about 3-inch circle) jiggles, but does not slosh. Be careful of the hot steam. When the pie filling is done, turn the control lever to OFF. Remove the lid and aluminum foil, wait until pie is cool to touch then remove from the skillet. Refrigerate until chilled, at least 3 hours. 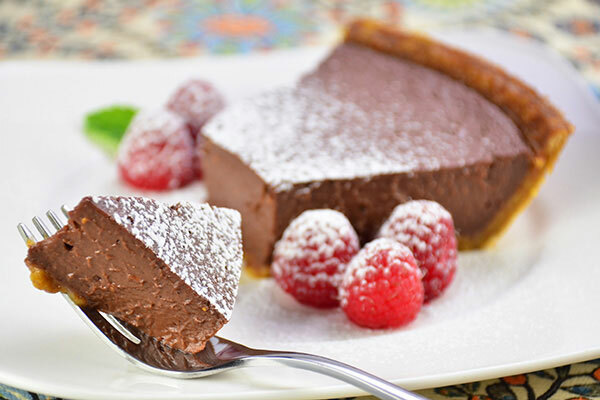 Cut into individual slices and serve. Garnish with optional fresh raspberries and powder sugar.